Over the weekend I surpassed the “2,000 items in my physical collection” mark. Can you believe it, 2,000 already! But it did took me 10 years to build it up and I have more to collect. I usually purchase stuff that I can’t find on iTunes or other media sites. I also like stuff that weren’t very popular or just one-hit wonders. And, of course, I like extended 12″ singles, which the local second-hand usually has a lot of. A 12″ single I recently picked up was “Play Another Slow Jam” by a short-lived R&B girl group named Gyrl. This group was orginally made up of three members: Jamila (who was a dancer in Prince’s “Diamonds and Pearls” video), her sister Miyoko, and Paulette. They started off as backup dancers, under the name Innosence, for the R&B group Immature. It wasn’t until 1995 when the group made their debut with the single “Play Another Slow Jam”. The single reached #74 on the Billboard Top 100 R&B singles. The group experienced a loss soon after the single’s release as Paulette quit the group. Jamila and Miyoko kept dancing while looking for a replacement. The girls got their wishes answered a while after after when Jeanae’ Briley and Tai-Amber Hoo joined. 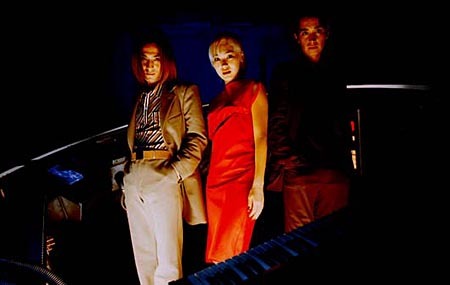 The now quartet released their second single, “Get Your Groove On”, in 1997. 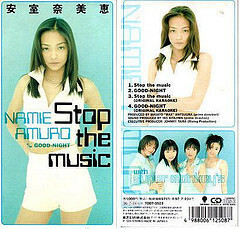 The single, which was featured in the Halle Berry movie “B*A*P*S”, was a success as it reached #30 on the R&B charts. But, the group broke up soon after. The members went onto focus on different careers. Jenae’ Briley did some songwriting and became a cosmetologist. Tai-Amber Hoo joined Nobody’s Angel in 2001 for a brief time. Miyoko became a stylist. Paulette Maxwell appeared as a dancer on a late 90s’ UPN show “One on One” and composed for another UPN/CW show called “All of Us”. She also became the CEO of her own company, Creation Soul Productions. However, the most successful member was Jamila, who now goes by the name Mila J. She has appeared on various songs done by Omarion, Treyz Songz, and other artists. The latest song she appeared on was Timberland’s “Don’t Get No Betta”, which its music video was released earlier this year. She made her debut in 2014 by releasing the EP “M.I.L.A”. She is expected to release a full LP by this summer. She recently released a song, entitled “#TBH“, from upcoming LP on Soundcloud. “Play Another Slow Jam” is a mid-tempo jam that isn’t hard to follow alon. It doesn’t feature a lot of synthesized instruments, opting to a bare instrumentation in favor to feature more of the vocals. Speaking of the vocals, they are a hit or miss depending on which part you listen to. When the girls sing together, the vocals can be very strong and pleasing to listen to. The chorus features the typical 90s’ R&B girl group sound but it’s not overly annoying, it actually sounds pretty nice. However, whenever Paulette or Jamila sing their solo parts, their vocals come off as airy and weak with little or no breath support. Jamila does hav a voice that suits the song well and can control her breathing better than Paulette. Nevertheless, I am going to chalk up the weak vocals to the reason that these girls were pretty young when “Play Another Slow Jam” was released and it was their first song. 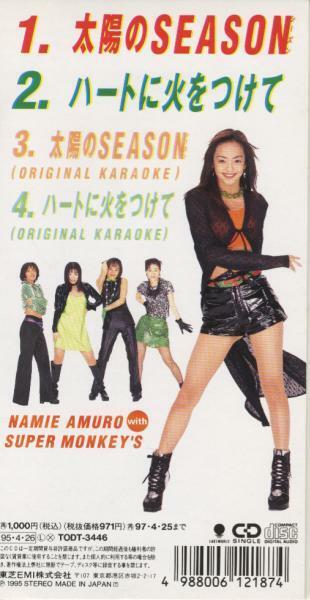 The second single and the girls’ newer releases prove this as the girls learned from this song and improved their skills. This Gyrl song isn’t anything too special; it has a basic melody, basic instrumentation, typical R&B sound, and sub-par to weak vocals. 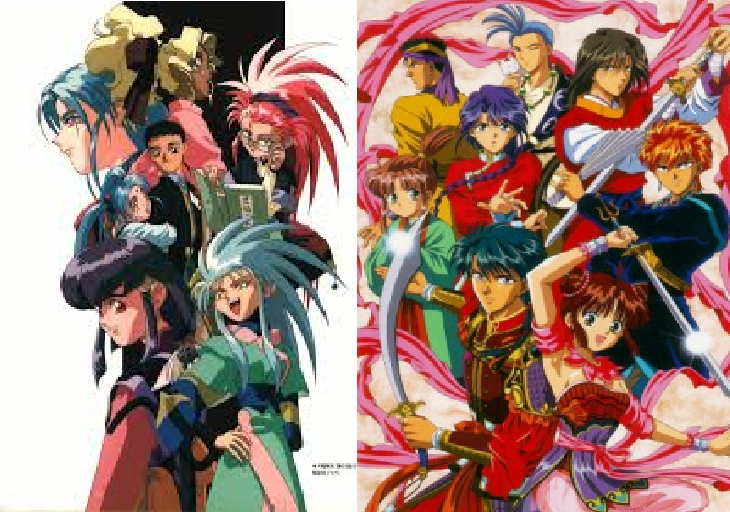 But, it’s pretty decent to listen to if you want to remember the 90’s or just want something to chill with. Besides, doesn’t this song sound like Aaliyah’s “Old School“? One of the most influential musical icons of the 1990s was the Texan-born “Queen of Tejano Music” Selena. Since her debut with her band in the late 1980s, Selena was celebrated in Texas and Mexico as she made history as the first female to top the charts in a male-domineering musical genre. Sadly, it wasn’t until her death in 1995 that her legacy gained worldwide attention. Growing up in the Washington DC metropolitan area, I didn’t really know who Selena was until the radio stations started to play songs from “Dreaming of You”. I have a fuzzy memory of how I first listened to the same-titled song. My mom always love to listen to the radio whenever she took us to places. I remember listening to the song on a hot summer day and had kept on thinking that it was simply magical. It wasn’t until I was in high school that I reconnected with the song and rest of Selena’s discography. “Dreaming of You” is a pinnacle album as it celebrates two parts of her career. One part is from the formation of Selena y Dinos during Selena’s childhood to her winning a Grammy in 1994. This was arduous period as the band had to find their sparkle, audience, and, most importantly, voice. I remember watching the movie Selena and thinking how tough it was for Selena y Los Dinos when faced with disappointing audience numbers at performances, bias viewpoints, or failed business avenues. But, Selena never gave up as she was an innovator that solved problems instead of running away from them. By 1989, Selena y Los Dinos scored a major record label deal with EMI Latin. This deal came into fruition after Jose Behar thought he found the next Gloria Estaban after watching Selena at the 1989 Tejano Awards. However, it also shelved her dream of recording English songs as EMI Records executives at the time thought that a “Mexican American woman could [never] have “crossover potential””. Instead, she released her self-titled Spanish major debut album to the Latin music market in the fall of 1989. Perhaps, having Selena make an English music debut in 1989 was an untimely idea. During the time when “Selena” was released, the singer was just getting popular all around Mexico and Texas. However, it probably wasn’t enough to sway the execs to see that she was ready for an English debut. Also, I wonder if the EMI execs wanted to test the waters by having her release Spanish material first. Yes, she did previously released a handful of independent records years earlier. However, now armed with a major record label that could promote her music more, it could have been a risky venture if the record label and Selena did not try out the Latin music market first. 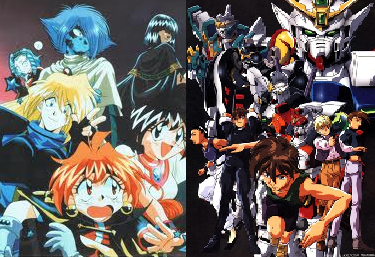 Or, the EMI execs weren’t thinking straight back then. Whatever the case may have been, Selena didn’t give up her dreams by working hard on any material she had a chance to work on. She was given a bit artistic freedom when creating albums with her family. One example is “Enamorada de Ti”, where she gave her listeners the first taste of her dream of being an international superstar by releasing a song that was so different from her regular genre. “Enamorada de Ti” is described as a freestyle song with hip-hop roots. The idea for the song came after her father, Abraham Quintanilla, Jr., wanted to write a modern-day song to pursue EMI execs for a crossover deal if, according to Behar, they had a chance to see her perform. It is unknown if they actually came to see her. Nevertheless, “Enamorada de Ti” is a wonderful song that showcases Selena’s powerful potential. During 1989 to 1994, Selena’s main musical focus was Tejano. Selena and her band made awesome songs like “La Carcacha”, “Como La Flor”, “Amor Prohibido”. “Bidi Bidi Bom Bom”, and my favorite “Baila Esta Cumbia”. I think a turning point in Selena’s career was winning a Grammy for her 1993 live album “Selena Live!”. Winning this award prove to the music execs and the world that she was ready for a crossover. It was also an indicator that she was ready to try something different. Even though Selena would never completely abandon her Tejano roots, I think she wanted to try something that was more her yet popular in the world: pop music. And, her father began to feel the same way. He began to look for lyricists and composers who knew the music industry well and could get along with her musical direction after getting a green light by EMI Records to produce a crossover album. After many months of carefully searching, Selena and her father found the people who they wanted to work. Leaving no time to waste, Selena recorded her first song, “If I Could Fall in Love” on December 1994. She then recorded “Dreaming of You”, which was a song that Selena handpick for the album as it represented her perfectly. She went on to record “Captive Heart”, “God’s Child (Baila Conmigo)”, “I’m Getting Used to You”, before her unfortunate death on March 31st, 1995. 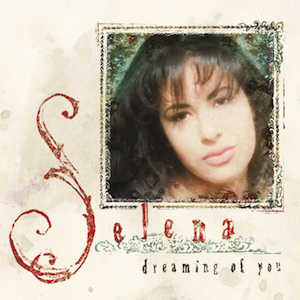 Even if it is a combination of previously released and new tracks, “Dreaming of You” is a timeless, well-written album that demonstrates Selena’s talented voice. It also starts a new chapter in Selena’s life as she wanted to cross over into the international music scene while trying out a new sound. It gave us a glimpse of what future had in store for Selena’s musical experiences. I just wished it showed more of, what Mario Tarradell of The Dallas Morning News wrote, her “bubbly, effervescent personality, the chica-del-barrio charm”. “Dreaming of You” is a magical yet timeless soft pop song. One of the best parts is the chorus because it showcasesSelena;s powerful vocals. Another favorite part is the bridge, it’s so mysterious yet mystical as Selena is singing, speaking Spanish, and instrumentation’s sound is deep with a soft guitar, a conga, a drum kit, and a bass synthesizer.